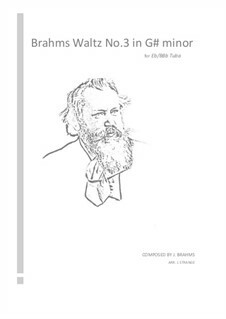 Johannes Brahms (1833-97) was a Romantic German composer and virtuoso pianist, who maintained a classical sense of form in his works. He composed for piano, organ, orchestra, chamber ensemble, voice and chorus. 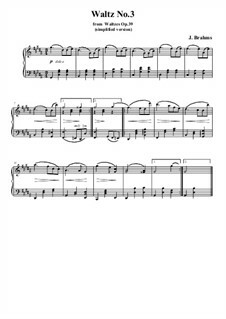 This waltz has been arranged from the original piano score for unaccompanied tuba. It presents a melodic scalic study and an effective sight reading exercise, whilst providing a great model for developing upper and lower registers. Johannes Brahms (1833-97) was a Romantic German composer and virtuoso pianist, who maintained a classical sense of form in his works. He composed for piano, organ, orchestra, chamber ensemble, voice and chorus. 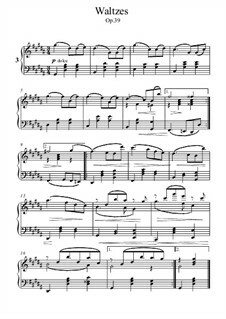 This Brahms waltz has been arranged from the original piano score and presented to be played by the solo double bass player. It presents a study to strengthen the left hand and improve bowing technique, whilst providing a challenging sight reading exercises. Johannes Brahms (1833-97) was a Romantic German composer and virtuoso pianist, who maintained a classical sense of form in his works. He composed for piano, organ, orchestra, chamber ensemble, voice and chorus. 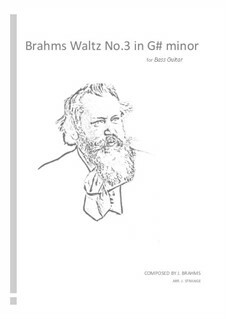 This Brahms waltz has been arranged from the original piano score and presented to be played by the solo bass guitarist. It presents a study in scalic and rhythmic practice, and each can be employed as a fun and effective sight reading exercise. Arrangement for tuba Arranged by Strange J. 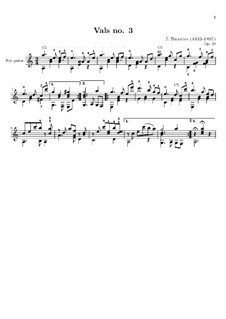 Arrangement for double bass Arranged by Strange J. Arrangement for bass guitar Arranged by Strange J.